Congrats on your 700th & many more to come & thank you for sharing your Single Girl, Asian Daughter experiences with us! Aloha! Congrats, without a doubt in my mind, you have something original to say and/or present to the world with each strip. 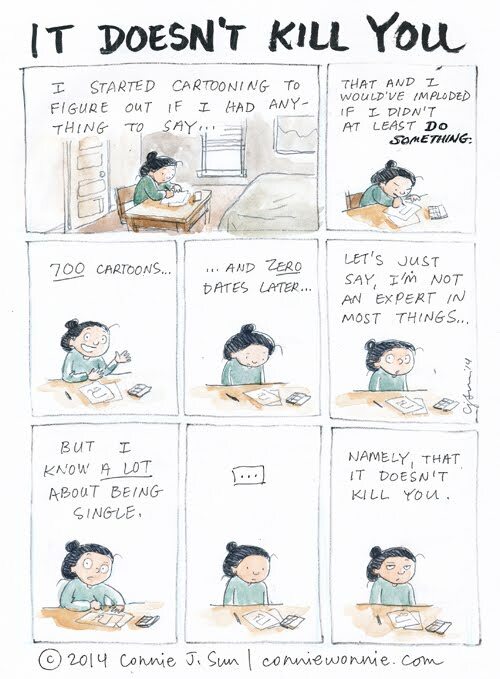 You know quite a lot about cartooning now too. Also, there is ton's of fun you can still have while single. That's part of the reason it doesn't kill you. Massive congrads on your 700th and thank you for giving us a voice and letting many of us know that we are not alone.